Fish is a great base for diet recipes. Nevertheless it’s been a while since I have posted a fish recipe whether for the 5:2 diet or not. I suspect that’s partly because I wrote a lot of 5:2 diet recipes using fish last year and ran out of steam a little and partly because over Christmas I’ve been busy using up leftovers. I really wanted to try something spicy and interesting on my last 5:2 fast day – and decided to try making a version of Thai fishcakes. If you’ve never had these in your local Thai restaurant you are in for a treat with these and I’d happily eat them as a starter or part of a Thai feast on a non-fast day! These 5:2 diet Thai fishcakes differ from the sort of fishcakes I grew up with because they have no potato in them. If you feel your mixture is a little too liquid then you can of course add left over potato or a few breadcrumbs, but ideally these should be small, dense and dare I say it, slightly eggy. You are aiming for a mixture that is a little thicker than cake batter but will still drop from a spoon, so you could also just add egg till you have the right consistency. The recipe is a good 5:2 diet fast day recipe because it’s high in protein and low carb, so theoretically it will stop you getting hungry again too quickly. Serve the fishcakes with a crunchy salad or stir fry and a little cucumber dipping sauce. I think they are quite tasty enough to make party canapes or a starter for a dinner party. I’ve given quantities for a largish portion for one person as a main course, or for a starter for two. You should get six or seven fish cakes from this amount of fish. If you prefer to make more, they can be fried and put in the fridge. Reheat them in the oven for 1o minutes for a quick and easy lunch or supper. To make the cucumber dipping sauce, dice 2-3 cm of cucumber finely and mix with mirin, soy and sugar or honey to taste. You could, of course, dry fry these and save a few more calories, or cheat as I did and just drain them on a little kitchen paper before you pop them in the oven. 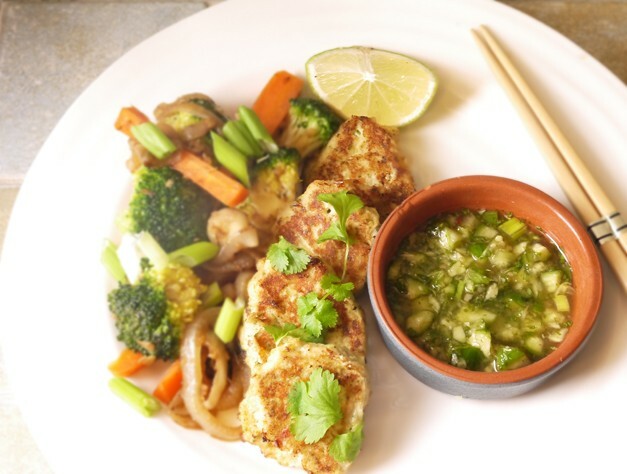 These look great – I’m actually addicted to the M&S thai fishcakes – it would be nice to be able to try my own and I have flirted with the 5:2… so, maybe I could try these out, thanks for the recipe! They look pretty simple to do too! Wow! its making my mouth water, definitely will be trying this! This is making my mouth water, i’m off to buy the ingredients! I am great fan of Thai food and red or green their curries rock, fish cakes r top of the pops too! 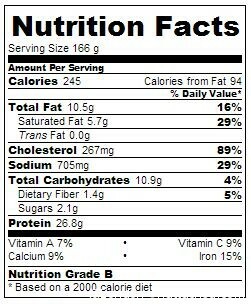 and a low cal version yes please ! this looks pretty fabulous. How long does it take for you to make this Fiona? A great 5:2 recipe Fiona! Pinned to my 5:2 board in the hope I might just get in to the diet one day soon….mentally working up to it but will power isn’t my thing!. 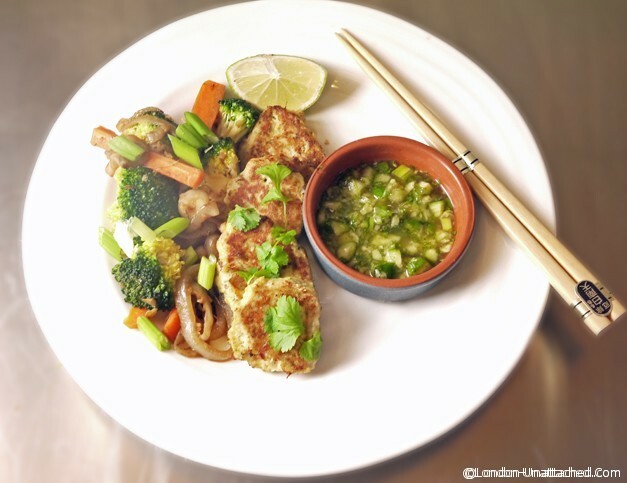 Certainly looks like a wonderfully tempting meal for a fast day, and I adore Thai fishcakes. Pretty presentation for you fast day..many flavors going on in the recipe too.